Carolina Beach, North Carolina is a wonderful destination for soaking up the sun and enjoying the sparkling blue waters. If you enjoy fishing, Carolina Beach can accommodate you, too. The town is home to its very own Cape Fear Coastal Charters fishcarolinabeach.com location. 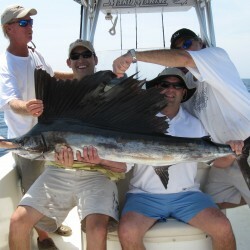 If you’re looking for a fishing charter, then you might want to explore your options with our company. If you’re interested in exciting offshore and inshore fishing outings, then Cape Fear Coastal Charters is sure to satisfy. Our guide is Captain Owen, who possesses more than four decades fishing experience. Not only does he have background on his side, but he also has the talent to back it up. As far as catching fish goes, Captain Owen’s success rate blows his competitors out of the water. Captain Owen’s objective is always to see that our customers have a wonderful time on our charters. He comes prepared with a strong selection of vital fishing gear. Guests of his fishing charters even have the convenience of restrooms. While Captain Owen provides the majority of all the necessary components for a top-notch fishing excursion, guests are advised to pack sufficient sunblock, snacks and a cooler. If you’re in gorgeous Carolina Beach and are looking for a carefree day with relatives, your best pals or even coworkers, then Cape Fear Coastal Charters is sure to please. When you choose our fishing charter company, you never have to settle for anything less than 100 percent. 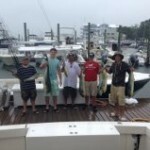 At Cape Fear Coastal Charters, various types of fishing are available, notably bottom fishing, casting and trolling. We also catch a broad selection of species of fish. On offshore trips, mahi mahi is common. On inshore trips, on the other hand, flounder is common. Our team is aware of all of the finest areas for locating fish. We know all the tricks of the fishing trade. When you turn to Cape Fear Coastal Charters for a fishing charter, you can feel secure knowing that our aim is for you — and your group — to feel as serene and happy as can be. Since fishing is supposed to be a peaceful activity, our guests can always expect A+ experiences with us. When you’re in Carolina Beach and on one of our fishing charters, you can expect ample fish, a first class crew and an overall amazing day. If you’re in vibrant Carolina Beach and searching for a fun activity, then our fish charters might just be exactly what you need in your life. If a fishing charter is your idea of a super day, you can book reservations with us via the Internet. You can also do so by simply calling us. If you’re interested in just getting more information about our services, you can always feel free to call. Customer satisfaction is extremely crucial for us. Because of that, we provide all of our guests with a guarantee of full satisfaction. If you ever find yourself unhappy with our fishing charter services, notify us immediately. We’ll work hard to make you happy again.